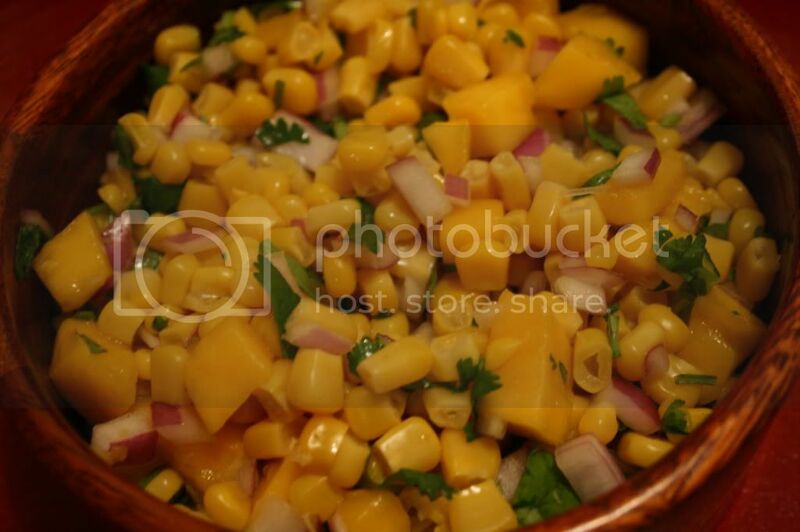 Mango Corn Salad - Kosher In The Kitch! Mango Corn Salad - Kosher In The Kitch! This recipe was given to me by my friend Miera Martinez. She makes some great dishes! Combine ingredients in a large bowl and mix with the lime juice. Looks great! My son is allergic to mangoes, though. Any ideas on a substitute? I made a delicious salad like this with corn, avocado, and onions. I made this tonight and it was SO GOOD!!!!! New favorite salad!!! Thanks SOOO MUCH for this recipe – it’s a true keeper! And SOOOO healthy! !